CloudHQ Gmail Email Templates | Learn. Create. Share. Initially, I used this blog as the newsletter landing page. I simply sent an email to staff with links to 3-5 specific blog posts. My blog analytics indicated most recipients were not clicking the links to access the blog posts. When I included “teasers” with the linked titles, access increased, but only slightly. Feedback from our teachers revealed that when users check their emails, they do not want to click links and be redirected to a webpage. So I started posting the entire newsletter in the email message. This solved the problem of staff not accessing the information, but it was not visually appealing. 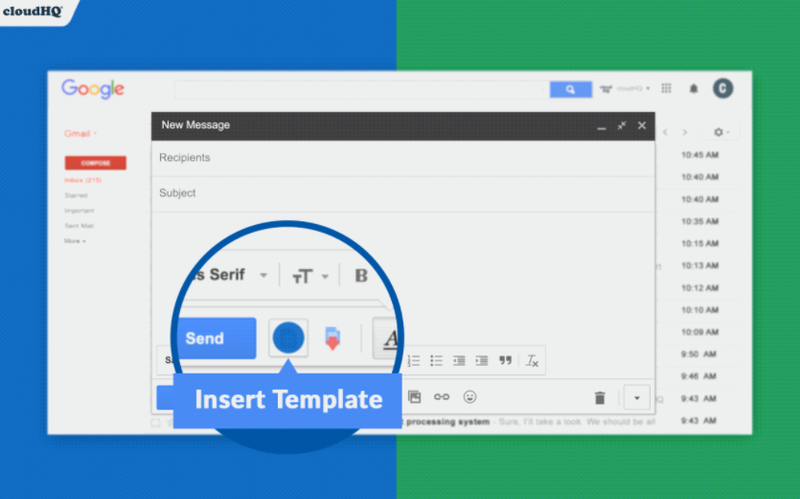 If you have ever attempted formatting a Gmail message with pictures, text, and video, you understand. This led me to the MailChimp newsletter service. They have a wide variety of templates that look professional. In addition, their analytics tools make it easy to see which information is being accesses and the amount of time users are engaged in the content. There is a bit of a learning curve, but it’s manageable. Unfortunately, as more spammers abuse bulk mail systems, MailChimp as had to tighten their policies by requiring everyone on your contact list to verify acceptance of the newsletter. With new staff each year, I did not want to track who has verified their email account and who as not. So I switched back to using Gmail and started looking for a template addon. That’s when I discovered the cloudHQ Gmail Templates extension. What made me even more excited was the ability of this extension to use the templates I had customized within MailChimp. Yes, win-win! Now my newsletters look professional and are sent directly from Gmail using my contact list. I can feel confident my colleagues receive the email newsletter and can view it from any device. Thanks cloudHQ!